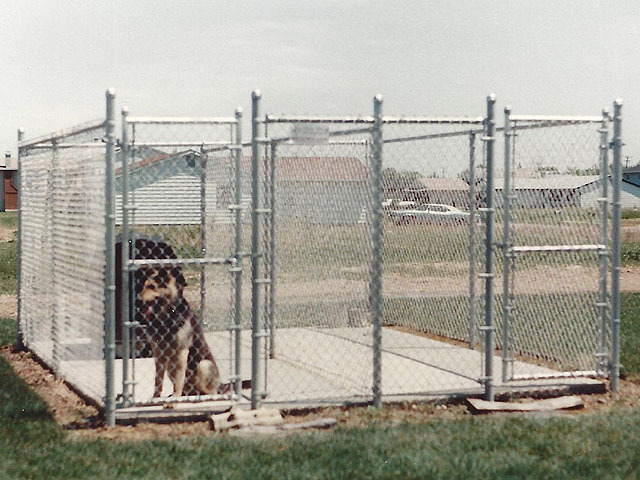 The Elyria Fence Company has been custom building Dog Kennels for veterinarians, professional breeders, law enforcement and other government agencies since 1932. All of our industrial dog kennels are built to spec using only American Made Steel and aluminized fabric. This will ensure that your facilities enclosures will be in beautiful condition for decades. Aluminized fabric is coated to prevent the rusting that occurs within a couple of years when galvanized fabric is used.